Sunday, August 12, 2012 – The day Shred Love transformed into Ped Love, pedal love that is. Put me on a snow covered mountain with my Never Summer snowboard and I’ll meet you at the bottom. I may even do a few butters and ollies along the way, however, put me on a mountain on a summer day, atop of a mountain bike, and let’s just say the outcome is not so assured. Last Sunday a group of participants from Shred Love set out to conquer a new and different type of mountain experience, one that didn’t require snow. Shred Love met up with the Jersey Off Road Bicycle Association (JORBA) in Tourne County Park in Booton, NJ, for an exciting lesson in mountain biking. JORBA designed and regularly maintains the trails that we rode that day. Armed with bikes, helmets, and mountain biking safety rules from JORBA, away we went to conquer our first trail. The White Trail was challenging with all of its bumps, tree roots, stumps, rocks, trekking through mud, over bridges, uphill climbs and downhill cruises. WHAT AN EXPERIENCE!!! After a hearty lunch, we broke into groups: those who wanted to master the White Trail and those that want a bigger challenge, the Purple Trail. To put this in perspective, if this were snowboarding; the purple trail would be equivalent to a hard blue trail. I was part of the latter group which consisted of Isaiah, Liz, Edward and I with JOBRA experts Slow Joe and Rick guiding and coaching us along. We began the ride climbing a steep hill before venturing into the woods for an additional uphill climb. This is where the fun began! Downhill runs over bumps and rocks, 90 degree turns, tough climbs, and navigating nature’s natural obstacle course. The White Trail team, led by teen volunteer Armani Rae, consisted of Jackie, Savion and Shred Love new comer Genesis, with the JOBRA crew of Frank, Michael and Jim, keeping the team motivated. The field report from the White Trail Squad is that all the things that had seemed challenging during the first run, turned out to be a piece of cake during the second time around. The second time, the team was able to take in the beautiful scenery of lily pads, frogs, birds, along the lake. In the end, we came, we saw, we conquered! Special thanks to Rick, Frank, Michael, Jim, and Slow Joe of JORBA, Trips for Kids, Clint of SkiDuck, Omenel, and parents! Can’t wait to do it again on September 8th at Allaire State Park!!! 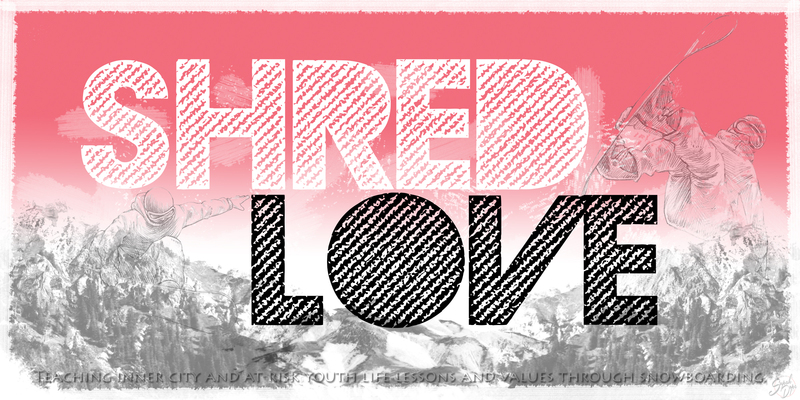 If you would like to attend, contact us at info@shredlove.org/wordpress. Please note participants must be at least 12 years old and can ride a bike to participate. P.S. Check out our Facebook page for more pictures. This entry was posted in News and tagged Armani Rae, biking, boonton, Elizabeth Royster, jersey off road biking association, JORBA, learn to ride, liz royster, mel young, mountain bike, mountain biking, New Jersey, nonprofit, shred love, skiduck, TFK, thank you, tourne county park, trips for kids, youth. Bookmark the permalink.